Business Rates – a high cost to any business. How to reduce costs, identify opportunities and work your way around the new appeals system. The 2017 Rating List brought about a new system for appealing Business Rates, which has attracted a high number of negative comments due to its complexity. In addition to this, over the seven year period from the last Rating List to the new one, there have been considerable changes in the market. Colliers can help you to identify opportunities to reduce your liability and advice to work your way around the new appeals system, providing examples of successes in the North West despite the issues with the new system. Colliers provides what it calls the “full circle of Rating advice” including appeals, audit work and rates payments. Hilary has worked in the Rating field for over 20 years, both on the consultant front and client front. 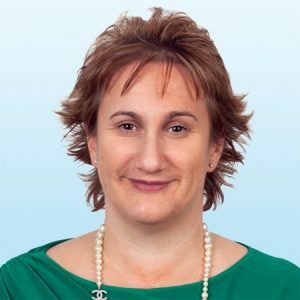 She has re-joined Colliers from Co-op where she was head of Rating and Valuation for eight years and was responsible for approval of all property transactions. Hilary has works closely with the BRC and advises the Association of Convenience Stores on Rating matters, as well as having worked with MPs in relation to the Rating Reform for the 2017 Revaluation. Prior to this, Hilary worked in the Rating team at Colliers CRE for 8 years, managing clients such as Thorntons plc and providing advice for occupiers such as Aldi, Poundland, Santander and Fujitsu. Hilary has a keen interest in working alongside clients to understand their requirements and, having worked on the client side advising the company CFO, has particular experience in managing and handling cash flow, business objectives, reporting and deadlines. She has worked closely with company boards, making strategic business decisions including company restructuring. Hilary oversees the Operational side of the business, ensuring the highest level of client care and driving the team to deliver the best results for clients. She is currently working closely with HMRC on the ongoing development of the new Check, Challenge, Appeal system, both from a functional and digital perspective. Adam started his career in 1987 at the Valuation Office in Carlisle and has worked in Rating, full time, ever since. Adam continued in the Valuation Office at their Bolton and Manchester offices until he moved into private practice in 2001. During his time in the Valuation Office Adam was the Licensed and Leisure valuer for the Manchester Team. In private practice Adam started at the then Fuller Peiser, latterly becoming known as BNP Paribas Real Estate. Manchester’s Office Market: How do we make a building work for its occupiers? Is Occupier-Led Design the way forward? What do international investors need to know about UK property? How important is Manchester’s Public Realm?